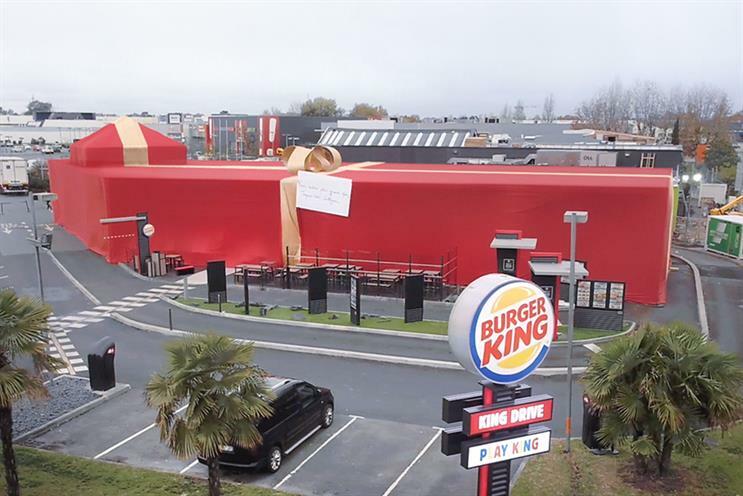 Burger King France wrapped up a store to gift it to its biggest Facebook fan. It took 35 workmen and more than one kilometre of fabric to cover up the store overnight. Sullyvan K, who has written 637 comments on Burger King France’s Facebook page so far, also has his own parking spot, golden tray, table and Whopper burger packaging. Burger King has also given him a pass to eat for free at his local Burger King in Bordeaux for a year. The fast food chain is now offering free Burger King for a year to the person who writes the most comments on the video of Sullyvan K being presented with his gift.